Bwoot Games: Avatar Fighter - Available Now! 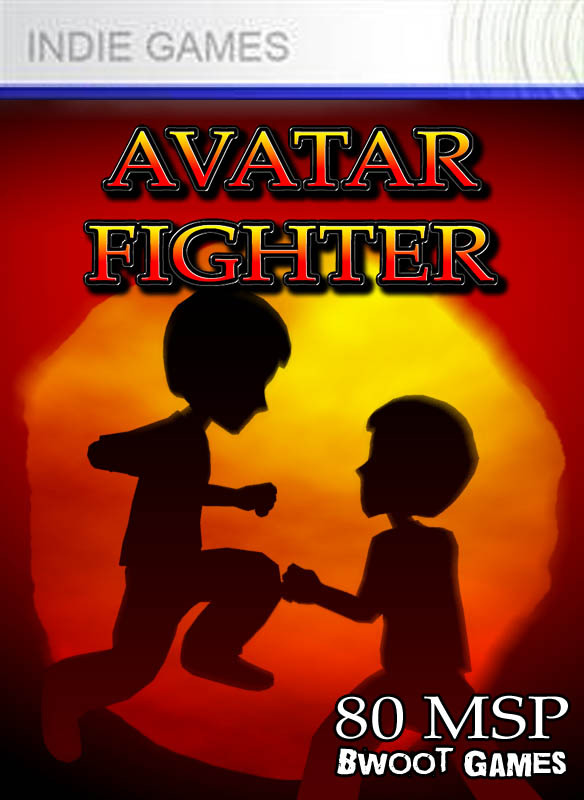 Avatar Fighter is now available on the XBOX Marketplace in the Indie Games section! I would love to put in online mode but I've been having really tough time figuring out how to hide the lag. If I can solve that, then it could be patched in. And yeah, Ryan is a bit annoying with his fireball/dragon punch pattern, that's why I made him the boss :P He's actually the only character with any custom AI. I think I will tweak the difficulty in the next patch after hearing some complaints. I just figured it was a Ryu thing. Jump straight up on first fireball and you know second one is coming next so pre jump forward to jump kick his teeth in while hes shooting the second one out. He'll still be in his throw stance when you land the kick. After that go into chain combos and keep on defensive. Dont do an uppercut cause he's on his game. and will counter with his own. and link it to super fireball!! Weak kick to sweep chain works great. And chaining 4 weak kicks to sweep is possible too! I think because there are not enough fighters it gets harder fast. oh.. how about endurance mode!?! Fight two baddies one after another with same life bar. like say,. http://www.youtube.com/watch?v=xZny6ce4MEc this. sorry I really love your game. lol np thanks for all the feedback- I'm glad you like it, and also happy you are using the advanced strategies! Awesome It would totally give it more depth. What about a survival mode, Every time You beat someone you get 20% more health Bonus and it keeps getting harder till you die. If online is not an option what about leader boards for bragging rights. longest survival, most perfects in a game, fastest kill time. This is already a Great game I just figure a few ad-dons and it could have allot of replay-ability. I wish you would have went for a 250 ms points it would have been worth that lol. This and Fortresscraft are two great indie games. Already posted about it on thier forums and on my facebook. So when is part 2 coming? Hmm.. I'm gonna guess it's still 2 months away, got still quite a bit left to do. But online play is gonna be worth it! Sorry, I cant refund your points. If you give me more details on the error it would help me get it fixed. When does it happen?